China's top political advisory body Sunday started its ten-day annual session with President Xi Jinping, Premier Li Keqiang and other senior leaders attending the opening meet being held here amid trade war tensions with the US and the slowdown of the world's second largest economy. The Chinese People's Political Consultative Conference (CPPCC) with over 2,000 nominated members began the session at the Great Hall of the People ahead of the legislature, the National People's Congress (NPC), raising the curtain of a key season in the country's political calendar amid trade war tensions with the US. The NPC, regarded as the rubber stamp Parliament for its routine endorsements of the proposals and laws forwarded by the ruling Communist Party of China, will begin its session on Tuesday. Every year the two sessions with over 5,000 delegates sets the tone for China's political season in the one-party system. The CPPCC is essentially a group of political advisors from different backgrounds who are tasked with conducting political consultation, putting forward proposals on current affairs, discussing the government's work reports, and carrying out democratic supervision. The CPPCC members representing cross sections of people including top film stars like Jackie Chan, industrialists and academicians serve as advisors for government, legislative and judicial organs and put forward proposals on major political and social issues. During the opening meeting, Wang Yang, chairman of the National Committee of the CPPCC, delivered a report on the work of the CPPCC National Committee's Standing Committee. Wang reviewed the committee's work, highlighting the efforts made in strengthening and improving CPPCC work, state-run CGTN reported. In 2018, the CPPCC conducted consultations focused on the central tasks of fighting the three critical battles against potential risk, poverty, and pollution, and on promoting high-quality development, Wang said, adding it also actively worked to develop friendly ties with other countries. Wang also outlined the major tasks for 2019. 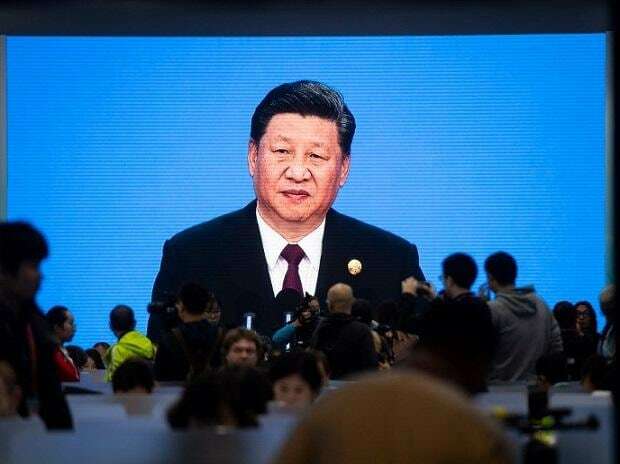 "This year marks the 70th anniversary of the founding of the People's Republic of China and a critical year in completing the first Centenary Goal of building a moderately prosperous society in all respects by 2020," he was quoted as saying by CGTN. He said the CPPCC should focus on hotspot and difficult issues, promptly identify potential risk and dangers, and proactively report on social conditions and popular sentiment. Wang stressed that the orientation and mission of the CPPCC in the new era is "to make itself a more well-developed, clearly defined institution and play its consultation role more effectively." China is going through a turbulent period due to trade war with the US and the continued slowdown of the world's second largest economy which last year touched down a 28-year low of 6.6 per cent. US President Donald Trump is demanding China to reduce the $ 375 billion trade deficit, provide legal protection for intellectual property rights (IPR), technology transfer and more access to American goods to Chinese markets. The NPC in order to address some of the US concerns is expected to pass draft legislation on IPR for foreign investors and a ban on forced technology transfers. Observers say the draft legislations showed Beijing's eagerness to call off the trade war, which is having a negative impact on its economy.